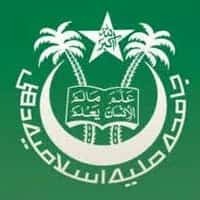 Jamia Milia Islamia Law Admission 2018 is for admission into 5 years B.A. L.L.B (Hons) programme in Faculty of Law at Jamia Millia Islamia University. Jamia Millia Islamia University, Delhi is a Central University and offers Undergraduate and Post Graduate Courses in Science, Commerce, Arts for various courses. Jamia Millia Islamia has 5 Faculties & Departments under which it offers academic and extension programs. The application process for the Jamia Millia Islamia University to apply for the B.A (Hons) English has started, and the candidates can fill the application form by following the link given below on this page. This page gives the complete details on Jamia Millia Islamia Law Admission 2018. B.A. L.L.B (Hons) is being taught at Faculty of Law with 80 students enrolled every year. Jamia Millia Islamia, the faculty of law, was established in 1989. The Faculty also offers Master of Laws (LL.M) and PhD (Law). The candidates must have passed Class 12 /Sr. Sec. School Certificate/ or equivalent in any discipline from a recognised Board. The candidates should have scored a minimum of 50% aggregate marks in all the core subjects, and the English Language put together. The candidates whose result for the qualifying exam has not been declared can also apply for the admission in BA LLB (Hons) course in Jamia Millia Islamia University. The candidates can apply for Jamia Millia Islamia Law 2018 through online mode only. There is no offline procedure to fill the Jamia Millia Islamia Law Application form. The candidates will be able to fill the form from 2 February 2018 to 14 March 2018. The candidates have to follow the link below to apply for Jamia Millia Islamia Law Application Form. The application fees can be paid Credit Cards/ Debit Cards/ Net Banking and also be using Cash Challans which is described below in detail. Through Online Mode: The first mode to make the payment of the application fee is through online mode in which the candidates can pay the application fee by Credit Cards/ Debit Cards/ Net Banking. The candidates filling the application form must check the details filled by them in each and every section of the form before the final submission because after the application gets submitted, the candidates will not be able to do any changes. If the details filled by the candidates found false at any stage, the university keeps the right to reject such forms. The candidates after checking and verifying the details need to submit the application form. Candidates are also advised to keep at least two printouts of the application form with them for future reference. The Jamia Millia Islamia entrance exam admit card for the course B.A L.L.B (Hons) will be available from 8 April till 13 April 2018 only for those eligible candidates who have submitted their duly filled application forms before the due date. Information about the availability of the admit card shall be provided to candidates on their respective registered mobile numbers through SMS. The candidates need to know that an admit card is an important document to be carried at the exam centre. Otherwise, the entry of the candidates might get restricted at the examination centre. Jamia Millia Islamia Law Application Fees is Rs. 700. The application fee can be paid through both online or offline mode. The tuition fee to be paid by the candidates for Jamia Millia Islamia B.A L.L.B (Hons) course is given in the table below. Jamia Millia Islamia shall accept admission fees through cash, online or Demand Draft. Online Mode: Candidates can pay the Application Fee through Net Banking, Credit Cards & Debit Cards. Demand Draft: Candidates can also be deposit Admission Fee through Demand Draft payable at New Delhi which will be drawn in favour of “The Registrar, Jamia Millia Islamia." The Jamia Millia Islamia University will prepare the merit list of candidates in various programs. The University will upload the merit list on their website. The JMI Result is expected to be declared on 15 September 2018. The list of the selected candidates for the interview wherever applicable shall be displayed in ascending order of their Entrance Test Roll Number. The Exam will be for 100 Marks and the candidates have to mark the answer with Black/ Blue Ball Pen Only. Candidates have to carry Calculator and Pencil along with them. Jamia Millia Islamia was founded in 1920 by a group of Nationalist Muslims. Jamia Millia Islamia University is a Central University which offers Undergraduate and Post Graduate Courses in Science, Commerce, Arts for various programmes. There are total 5 exam centres available for the entrance exams conducted by the Jamia Millia Islamia University for the admission in Law and other courses offered by Jamia Millia Islamia. The name of the centres is given in the table below. The candidates are required to see the table.